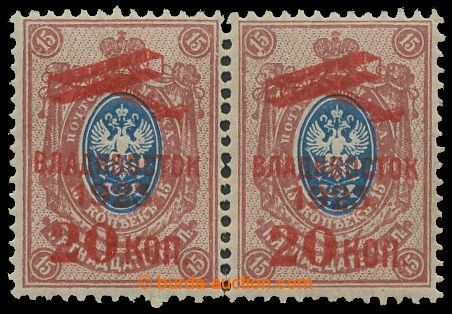 Russia 1854, essay for the roof stamp Russia: center with Merkur head in gray black and border with inscription 10 Kop ZA lot in pale blue, Cut passé and on a piece paper assembles. Those essays existing in different colours and each Farbessay is only as single piece recorded. The existing comes from the Agathon Fabergé collection. The stamp is genuine, perfect and very fine. Large Russia rarity. Certificate with photograph Mikulski. 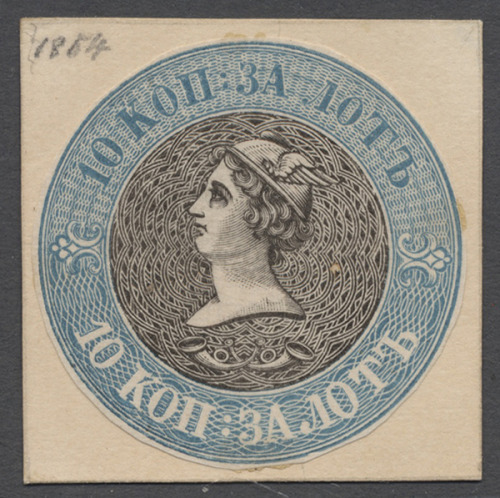 1854 essay for the roof stamp in Russia: Mercury-head in black and gray border with inscription ZA lot 10 LAD in diet blue, Cut passé and mounted on a piece of paper. Search essays exist in different colors and each color essay is only known as at individual item. This comes from the Agathon Fabergé collection. The essay is genuine, perfect and very beautiful. 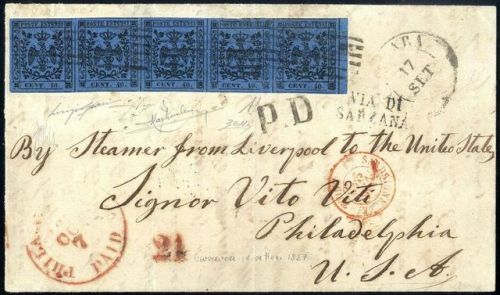 Large-RUSSIA RARITY. Certificate Mikulski. 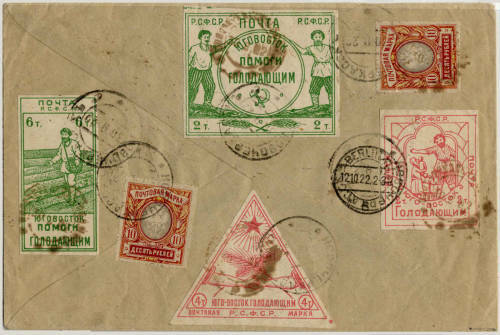 RUSSIA, 1923, 4r 4r Philately for Workers, overprint in silver, o.g., never hinged, Very Fine, with 2010 Sorani certificate. Russia Portoger. 30-K.-Frankatur on registered cover from Vladivostok via Moscow to Munich and again return.